PORTAL ZA KICKBOXING NATJECANJA | 20. 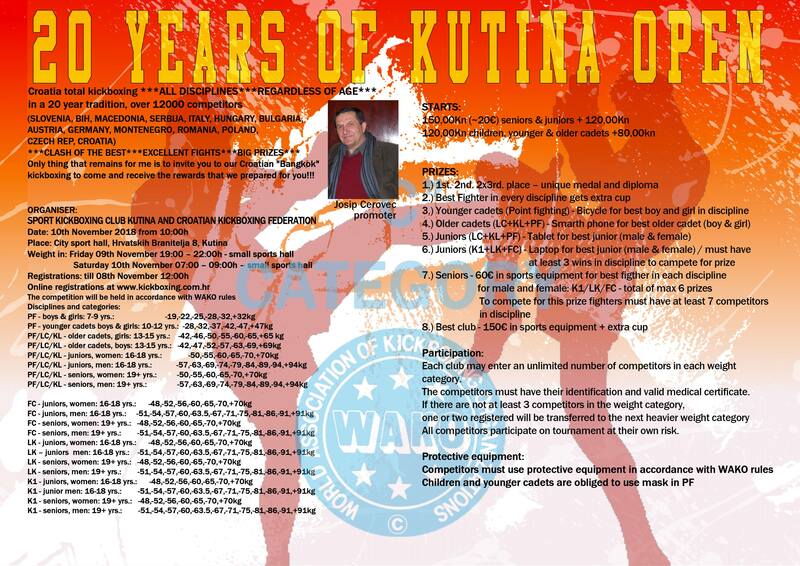 Kutina Open 2018. Odabrano natjecanje: 20. 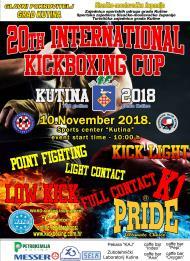 Kutina Open 2018. Opis: Double start can be only possible in tatami disciplines. In ring disciplines ONLY one start is allowed. Informacije za prijave: Till 8th November at 23:59. *BEGINNER CATEGORY (PF): only for those competitors which have participated in less than 5 tournaments!